sew sew art: New issue of "Through Our Hands"
New issue of "Through Our Hands"
If you have never read an issue of "Through Our Hands", you are in for a big treat. They are published a few times a year by Annabel Rainbow, Linda and Laura Kemshall. The magazine is free to view online here and you can also buy a PDF download version to read at home. It is only 3 pounds ($3.82 USD) and it supports in a small way the immense amount of work involved in it's publication. You can download this seasons version to keep here. So far I have bought all of the publications and will continue to support them. Have some fun and check out the free version online. 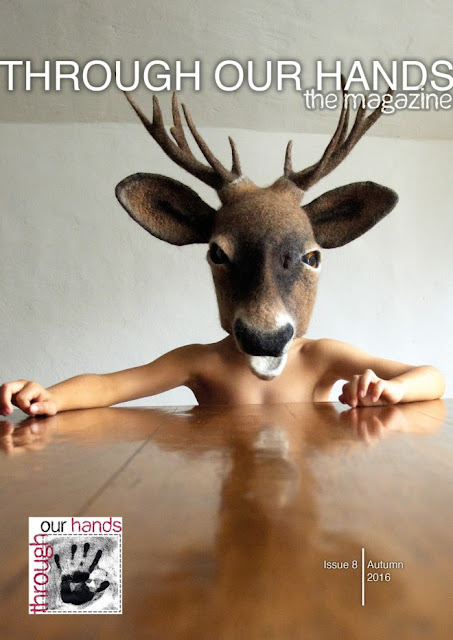 Cover photo: Young Buck by Gladys Paulus.